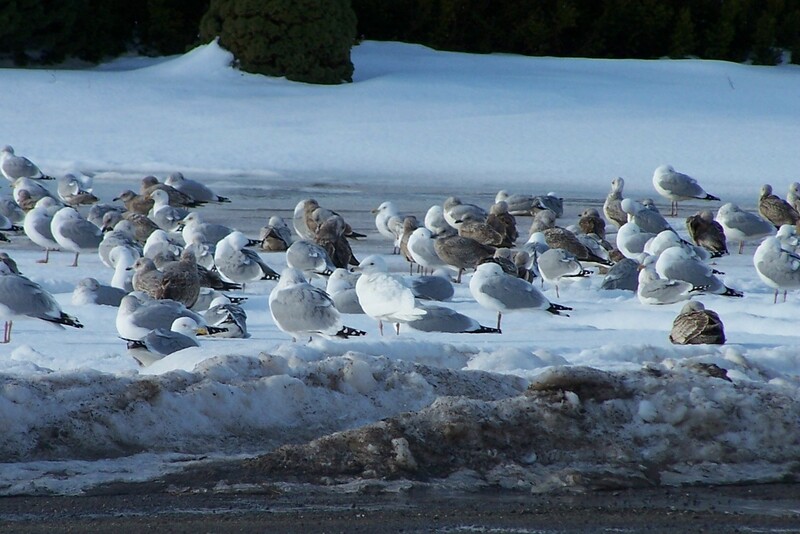 Mixed gull flock highlighted by first winter Glaucous Gull. 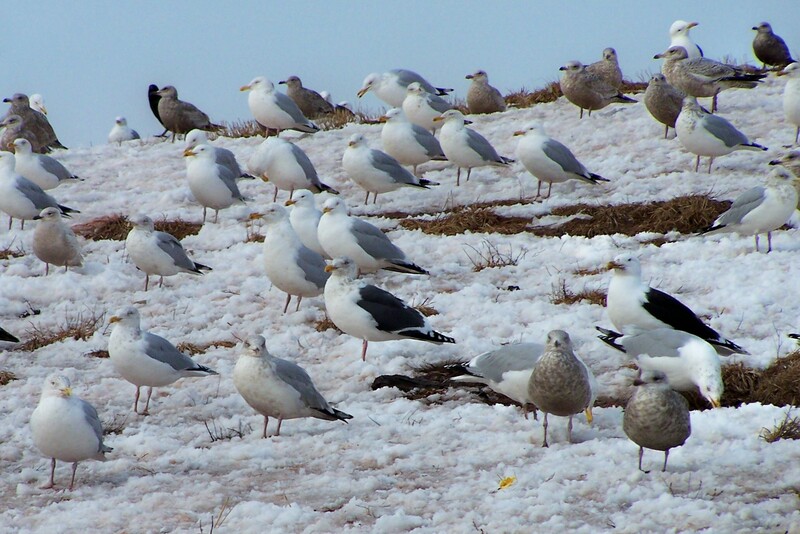 Slaty-backed Gull in mixed group including Herring, Great Black-backed and Iceland Gulls. Though this shot is not glamorous, it clearly shows the Slaty-backed Gull in flight. It clearly shows the “string of pearls” in the wings and the bright deep pink legs typical of the species. This is a new page I will be working on for some time in the coming months. I will group similar species and point out identifying features to help those interested in learning how to identify gulls in the field. Please be patient as I will work on this page as I get the chance. Hope you enjoy the gulls. Curt, I appreciate your interest. I have a lot of photos I can enter with helpful hints to identification, now I just have to find the time to do it. I’ll put it on the list for the next snow day. This would be a great addition. Gulls are tough.